Time for another edition of Studio Happenings! Thanks for checking in each week! New Class: Sunday Poised & Hot Bodies! And the winner is... 10AM. I can't think of a better way to warm up and start my Sundays! Join me for poise at 9AM for a great double session. This is a full body strength, toning, and conditioning class in a heated room; we'll utilize the ballet barre, mat, light-weights, resistance bands and yoga blocks. Learn more about the benefits of our heated classes in our blog post. 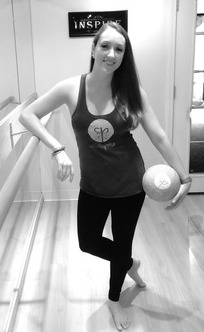 Looking forward to seeing you at the barre this Sunday! update your card on file! Did you know that you can use your card on file for the majority of purchases at Studio Poise? As long as you have a current debit or credit card associated with your account, our friendly instructress staff can charge any Poisewear purchases directly to your account. Get your bling on! Please note: Cash is required for any items in the "SALE" basket located in the lobby, and for all beverage purchases. We know that staying fit while staying on budget isn't always easy - that's why we offer Poise Price Matching. If you find a promotional pricing from any of our competitors that's better than our current class pricing, send us the promotional details and we will match the price here at Studio Poise.